John Addis explains the six questions you should ask your financial planner. Most investors need reliable financial advice. The problem is in finding it. According to the Ripoll Report of 2009, there are about 18,000 financial planners in Australia. The vast majority – perhaps up to 85% - are associated with a major bank or AMP, which means they either work for these organisations or are remunerated by them in some way. The vertical integration of the industry, where the manufacture of financial products seamlessly slips into the selling of them under the guise of advice, all but ensures you'll be sold well rather than advised sensibly. The big banks and AMP aren't good places to fish for advice. But just because the planner's office doesn't sport a Commonwealth Bank logo doesn't guarantee independence. Most major financial planning firms, including Count Financial and IPAC Securities, are either owned by or associated with the big banks. They see them as distribution outlets rather than havens for independent advice. The adverse, systemic influence of rebates and commissions means they too are best avoided. The Financial Planning Association understands the lack of trust and transparency in the market and is urging the Government to break the nexus between advice and sales. Its 7,500 practising advisors are bound by a code of practice more demanding than current laws but it's no guarantee of good advice. What you should really look for are planners free from links to product manufacturers and no commissions or payments of any form from them. You should also think carefully about advisers levying fees as a percentage of your asset base. 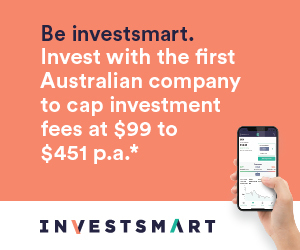 The Independent Financial Advisers Association of Australia promotes these criteria but in a sign of how laughably compromised the industry has become its has a membership of just 12 planners. So your best chance of getting good advice is to first ask a planner what company owns their advice licence and whether they or their employer receive any benefits from recommending their products. If they do, walk out. When you find one not too conflicted, here are six questions to ask them. They aren't a guarantee of trust or competence but they will increase your chances of getting it. 1. Are they a certified financial planner? – Becoming a qualified planner costs $1500 and takes just eight days. Becoming a certified financial planner – an internationally recognised qualification consisting of four modules, each run over three months – is more demanding. About 5,000 FPA members are CFP-qualified and you're almost certainly better off with one of them. 2. Have you ever recommended a managed agricultural scheme? – Some of these schemes paid advisors fees of 10% or more. If they succumbed to this temptation, no matter how reformed they claim to be, leave immediately. 3. Do you put your clients into your own firm's funds and products? – If the answer is 'yes', ask what steps they've taken to source non-conflicted alternatives and minimise the conflicts of interest. If there's much spluttering and prevarication, there's your answer. 4. Can you show me your investment portfolio? – Those proffering advice should eat their own cooking so a quick glance at your adviser's portfolio, even if its just a list of products with percentage allocations, will be informative. If they own vastly dissimilar investments ask them to explain the reasons. If they don't stack up, go. 5. Do you offer flat fee-for-service pricing? – If the adviser answers 'no', their remuneration is very likely tied to product sales in some form or other, making the chances of genuinely independent advice unlikely. Money does an awfully good job of skewing incentives. If the adviser offers a 'percentage of an asset-based fee', expect service akin to having your own fund manager. If that's not the pitch, forget it. 6. Can you show me a sample statement of advice (SOA)? – ASIC's 2012 shadow shopping of retirement advice revealed that almost 40% of plans reviewed were of poor quality and only 3% 'good'. A statement of advice should cover budgeting, cash flow projections, a comparison of multiple strategies and a discussion about what you can realistically fund in retirement. If the document lacks clarity or is unnecessarily long, the adviser has missed the point of it and it's time to leave. Once you find a good planner and they deliver your SOA, use the same process to acquire a second opinion. The financial planning sector is structured to deliver product sales at the expense of good advice. Your retirement is too important to skimp on finding out whether you're being suckered.